Glamorous one bedroom apartment with a spectacular private roof terrace of 80sqm featuring Jacuzzi, BBQ , wet bar , shaded dining and sun deck . !!! It is located in Palermo near Palermo Parks and Libertador Avenue , surrounded by many very good restaurants and cafecitos . table and chairs . The bedroom is beautiful with a Queen size bed , complete bathroom . The kitchen is fully equipped . 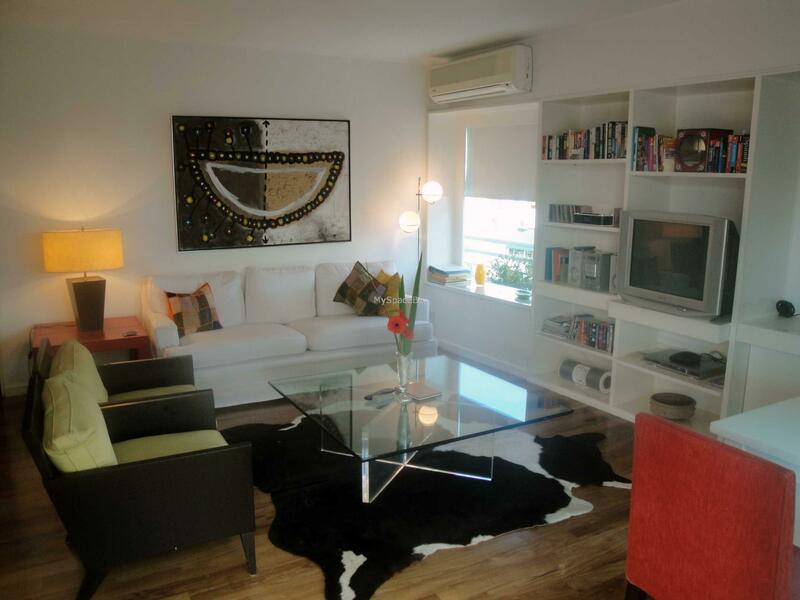 An excellent option to make your stay really pleasant in Buenos Aires . 80m roof terrace featuring Jacuzzi , BBQ , wet bar, shaded dining and sun deck . Flowers and champagne upon arrival , Maid service 2x per week , High speed internet , Cable TV / DVD Mp3 compatible stereo , Free local calls , voicemails , , Blackout drapes , Safe box Hardwood floors , Sultan's bed (queen size) . Modern furnishings , original art , Bedroom with private deck , Plush linens , Luxury mattress , Individual climate control , City and park views from 3 directions . Hair dryer , Curling Iron. Brand new building . Elevators . Doorman 24 hs .